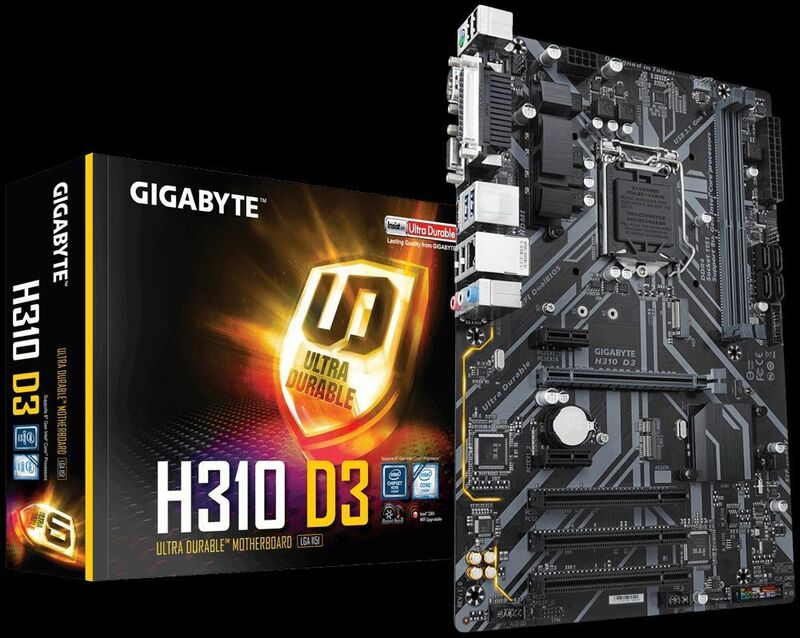 Selecting the best Intel 300-series motherboard to fit your needs was straightforward when the initial wave of 8th-gen Core desktop processors launched in October 2017, because only the enthusiast-class Z370 chipset released alongside the new chips. That was enough to help the flagship Core i7-8700K CPU counter AMD’s Ryzen threat at the high end, but left PC users looking for more affordable options in a pickle. 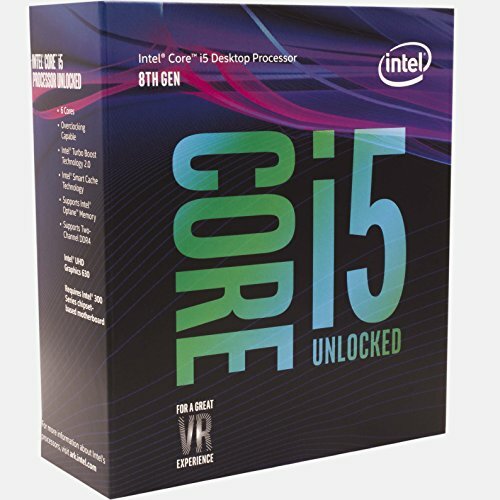 Buying a $100 Core i3 chip doesn’t make much sense when you’re forced to slap it in a $130, high-end motherboard, especially with AMD offering a full arsenal of Ryzen motherboards at all price points. 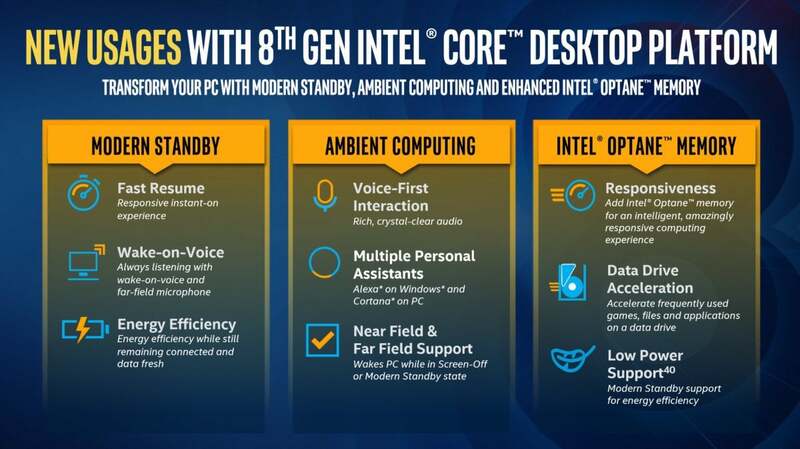 The disparity ended in April, 2018, when Intel revealed the full lineup of 300-series chipsets for its 8th-gen CPUs. The lower-cost chipsets don’t offer all the bells and whistles of Z370 motherboards, but they have a few fancy features up their sleeves that the swankier boards lack. Should you buy a H370, B360, or H310 motherboard for those extras? Does it make sense to splurge on a Z370 chipset anyway? Let’s examine what each Intel 300-series motherboard chipset offers so you can make the right decision when you buy an Intel 8th-generation processor. Z370 motherboards are the gold standard, built for enthusiast PCs. 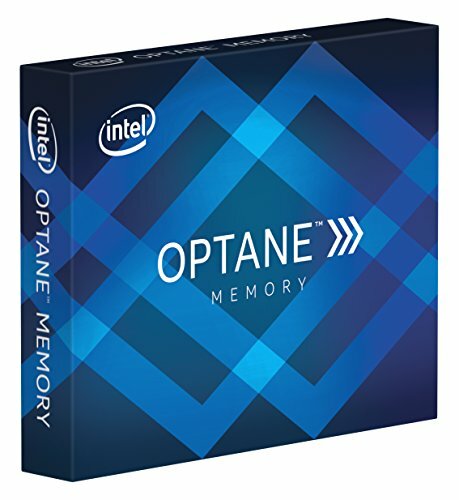 These are the only Intel motherboards that support CPU and memory overclocking (if you have an unlocked K-series chip), or handle gaming rigs with multiple graphics cards. 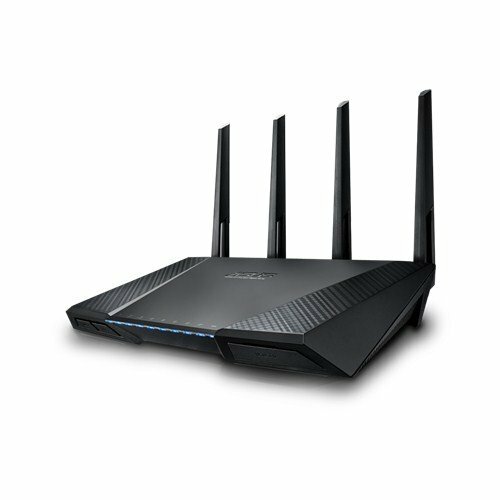 They’re loaded with the most PCI-E lanes, potential USB ports (with one notable caveat—more on that after), and RAID storage options. As the flagship chipset, Z370 also offers the most high-speed I/O lanes. More HSIO lanes let board makers divvy out more features, like NVMe SSD connections and SuperSpeed USB ports, as they see fit. Once again, motherboards based on the Z370 chipset don’t include any of this new native functionality, though hardware makers can add Wi-Fi and USB 3.1 Gen. 2 capabilities via add-in controllers. 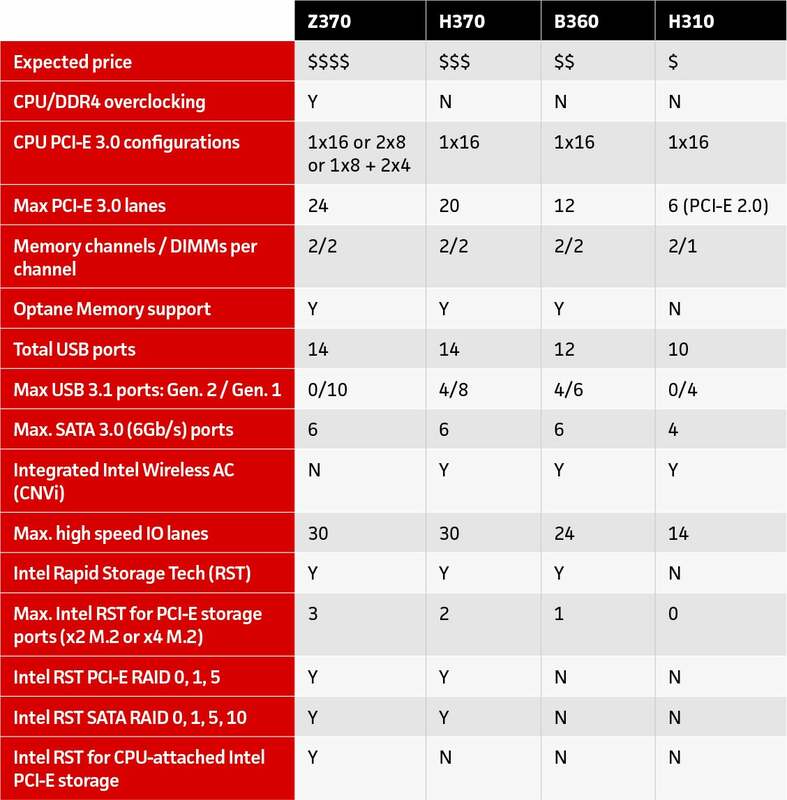 But curiously, the business-focused Q370 chipset mirrors Z370’s specifications (sans overclocking) and includes the new capabilities found in the H370, B360, and H310 motherboards. Intel hasn’t announced a successor to the Z370 chipset for 8th-gen CPUs, but we wouldn’t be surprised to see one in the future to bring the 300-series flagship into feature parity with its little cousins. The final part of the equation is finding a 300-series board with finishing touches that fit your needs. 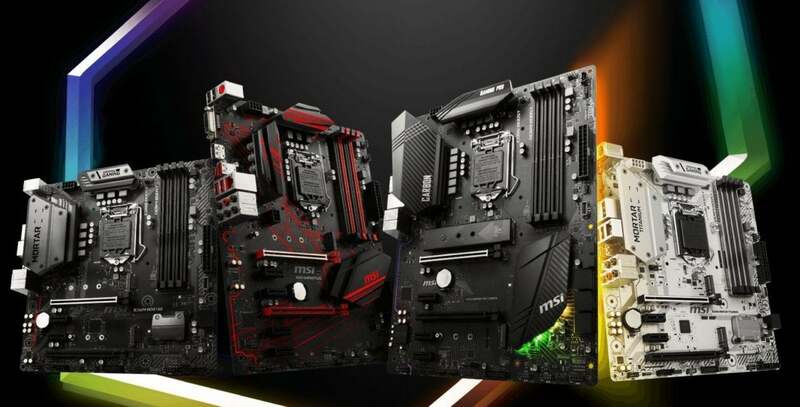 While the information above describes the guts of every Z370, H370, B360, and H310 motherboard, vendors can tweak and configure their hardware in different ways, so two H370 boards (for example) might have slightly different port configurations and wildly different features, such as RGB lighting, fancy audio, one-button overclocking, et cetera.